Lisa Wilson Celebrant - Lisa Wilson, County Durham based celebrant. Hello I'm Lisa Wilson, thank you for visiting my page. I'm based in the UK’s best kept secret the North East of England with my incredible husband Wesley and our wild Yorkshire Terrier, Betty. When we married in 2015 we chose a celebrant to help us celebrate our wedding by creating a bold and beautiful ceremony that reflected who we are. I’ve never been one to abide by the rules and working with our celebrant we didn’t have to. Since then I've been passionate about helping others to celebrate life events in a way that matters to them most. I trained as a professional celebrant with Civil Ceremonies Limited, to enhance my learning in the craft of creating epic ceremonies so that you get the very best. Using my degree in English and love of ceremonies with real personality, I will work with you to create an original and cool ceremony, that speaks of your love. As your celebrant you’ll have no restrictions on venue, content or style. You can have a ceremony of your dreams that is truly unique, one of a kind that reflects your values and wishes. Imagine it. Total freedom. From a beautiful beach location in front of chosen few to packed to the rafters at the theatre where you had your first date your venue options are limitless. I’ll guide you through planning a ceremony and I’ll be there to inspire and empower you to have the ceremony you want. Blending tradition with modern, adding creative twists and rituals you’ll have full creative control on content and how you want to feel during the ceremony. 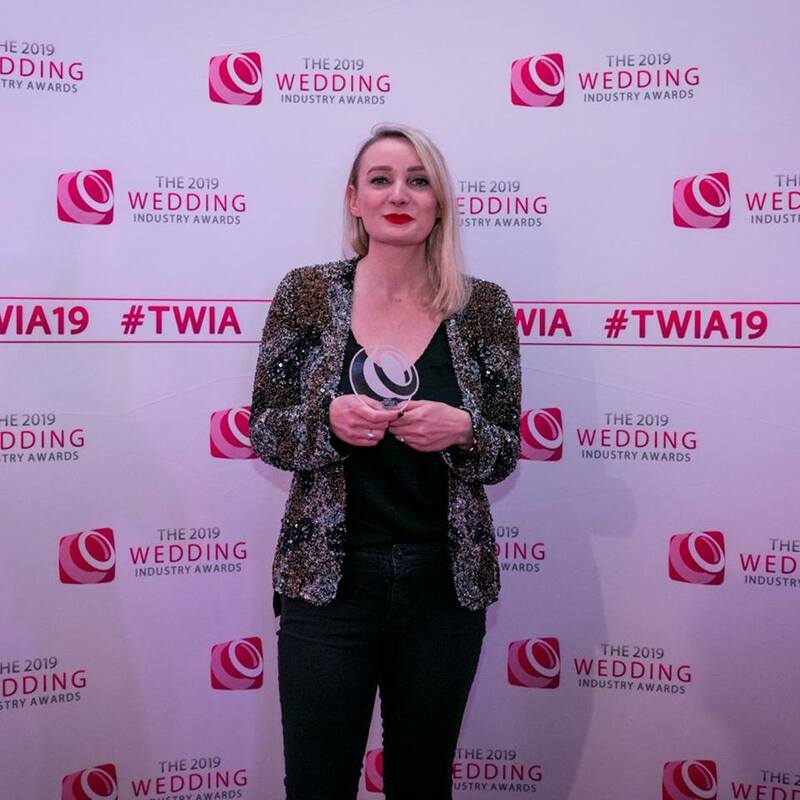 I was thrilled to win Best Wedding Celebrant at The Wedding Industry Awards for 2019 in Yorkshire and the North East. Thank you to all the amazing couples I’ve had the pleasure of working with, your votes and kind words mean the world to me. My background is in fundraising, I've worked in the third sector for over a decade raising millions for local charities. I'm an expert relationship builder with a friendly and approachable style and have a wealth of experience in delivering events with impact. During my career, I've managed a number of high profile, celebrity fundraising events and I've proudly delivered above expectation by ensuring clients and guests received a VIP service. Going the extra mile is at the core of everything I do. I have a diploma in Couples and Naming ceremonies and I'm a member of The Association of Independent Celebrants, The Celebrant Directory and Not Your Average Wedding Supplier. Please get in touch to explore how I can help you create your perfect ceremony.